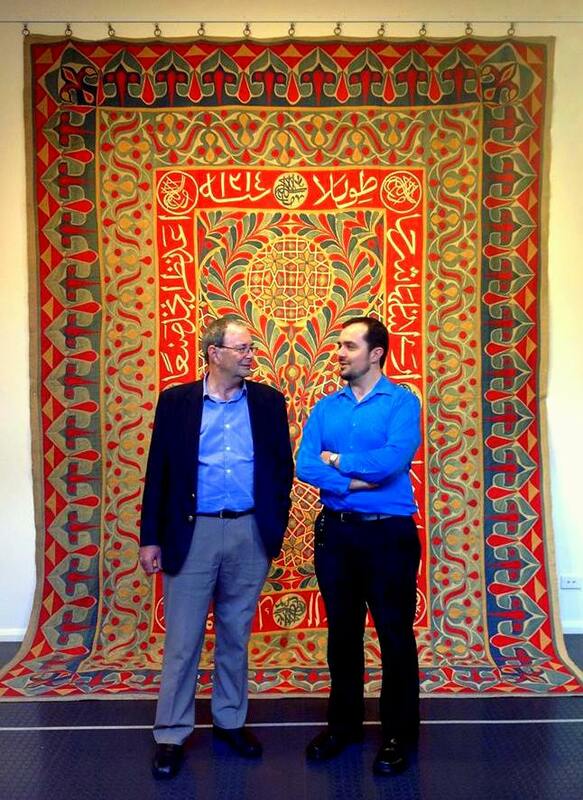 Bob and Sam Bowker chatting in front of the “Milan Panel”, a Khedival Khayamiya dated 1899. Photo by Jenny Bowker. I was interviewed in the exhibition Khayamiya: Khedival to Contemporary for ABC Radio Riverina by the charming Peter Casey. Detail of the ‘Suradeq’ panel, or section from a Cairo Street Tent. 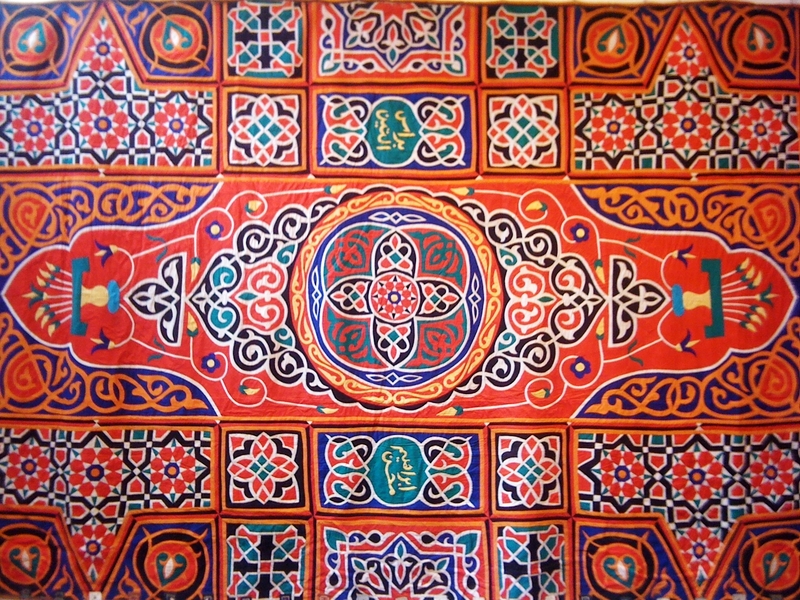 This 5m x 3m panel is the most typical form of Khayamiya seen across Egypt over the past century, and remains in use today. Thank you Brigitte, I am delighted to hear that you enjoyed the premiere of the Khayamiya exhibition in Wagga Wagga. I am yet to see those Istanbul tents in person – I have only seen them via the scholarship of Nurhan Atasoy – but I am thrilled by your remark.